Isabelle Faust is one of the most impressive violinists of the generation that emerged in the 1990s. She is known for exceptional technique and strong interpretive instincts. She performs a wide-ranging repertoire, from JS Bach all the way through to contemporary composers such as Ligeti, Lachenmann and Widmann. Ever keen to explore new musical horizons, Faust is equally at home as a chamber musician and as a soloist with major orchestras or period ensembles. Over the course of her career, she has regularly performed with world-renowned conductors including Claudio Abbado, Frans Br�ggen, Mariss Jansons, Giovanni Antonini, Philippe Herreweghe, Daniel Harding and Bernard Haitink. 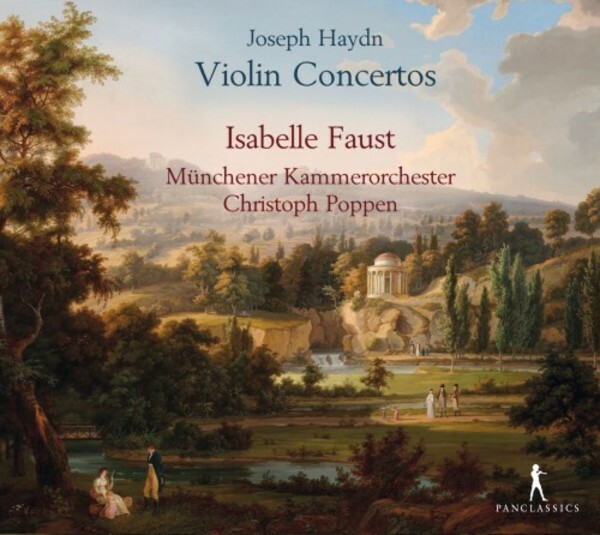 Before starting her long-time recording relationship with the harmonia mundi France label, she recorded Haydn Violin Concertos for Pan Classics, with the Munich Chamber Orchestra conducted by Christoph Poppen (her former teacher) in 1997. Isabelle plays the Stradivarius violin of 1704, known as the 'Sleeping Beauty'.